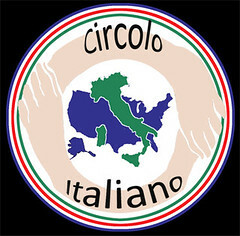 it will be an exciting second half of 2016 for us at Circolo Italiano! To our traditional line-up of events, this year we have added two new and exciting ones that will interest and delight you. CINEMA ITALIANO CONTEMPORANEO. The dates are in and we are now looking for the perfect movies to present to our public on the evenings of the following days: September 24, October 1st and October 8th, 2016. All Saturday evenings! More information about the movie line-up will be sent to you towards the end of August. As in the past, it will be at the SBCC Fe’ Bland Forum and the starting time will be 7:30 pm. Save these dates as well! CELEBRATION LUNCHEON, Thursday, October 20th, 2016 at La Cumbre Country Club. What are we celebrating on this particular day and with the presence of the Honorable Antonio Verde, Consul General of Italy? You see, 150 years ago to this day, the northern Italian Regions of Veneto and Friuli with their capital city of Venice voted to join the brand-new Kingdom of Italy. Be prepared to “eat like a king” as you will be served three courses that 150 years ago had been served to the King of Italy. More details on this event will be sent to you in late September. In the meantime, save the date! A NEW FABULOUS EVENT: Saturday, November 5th, 2016 at La Cumbre Country Club. Lunch and lecture by Professor Eugenia Paulicelli, Graduate Center, CUNY. With the title of “Made in Italy: Glamorous Fashion and the Culture of Style,” this event will take your breath away! After a lovely lunch, Professor Paulicelli will illustrate how Italian fashion designers of post-WWII Italy created new fashion trends and styles that have become synonymous with the “made in Italy” label. Professor Paulicelli’s talk will be accompanied by lots of incredible photos of stunning high-fashion clothes. Save the date! This entry was posted in Cinema, Circolo Italiano, eventi-cultura. Bookmark the permalink.